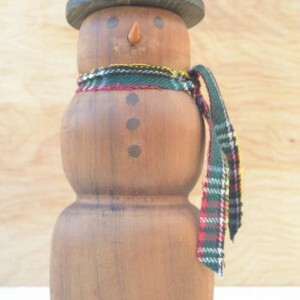 A hand-turned snowman from our shop! 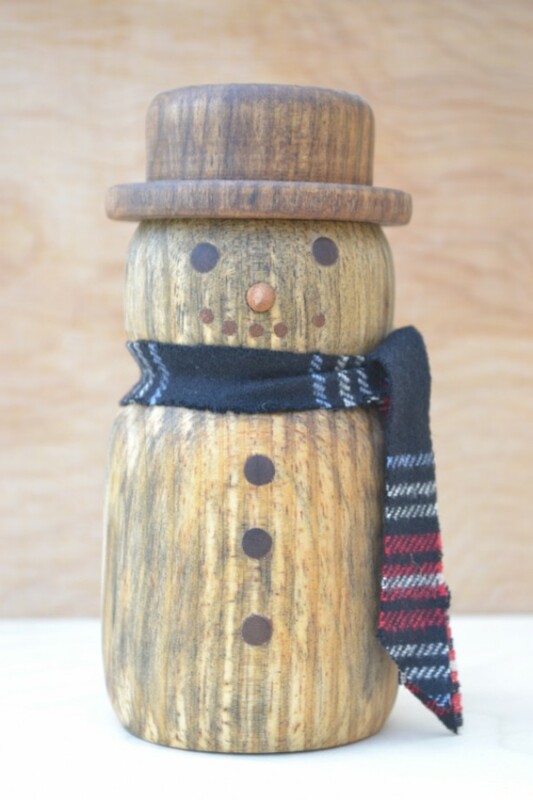 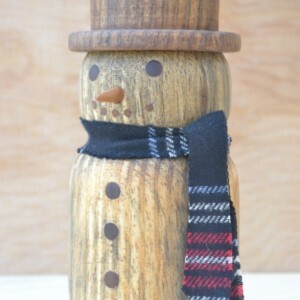 We have crafted this charming snowman from solid wood. 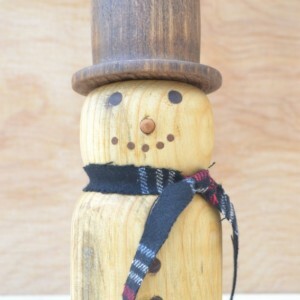 The body is reclaimed pine. 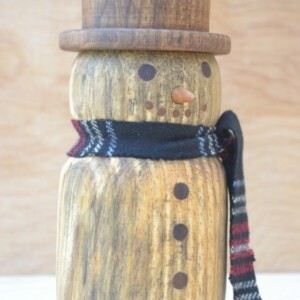 It has inlaid walnut for its eyes and buttons, the nose is made of cherry and the mouth is poplar. 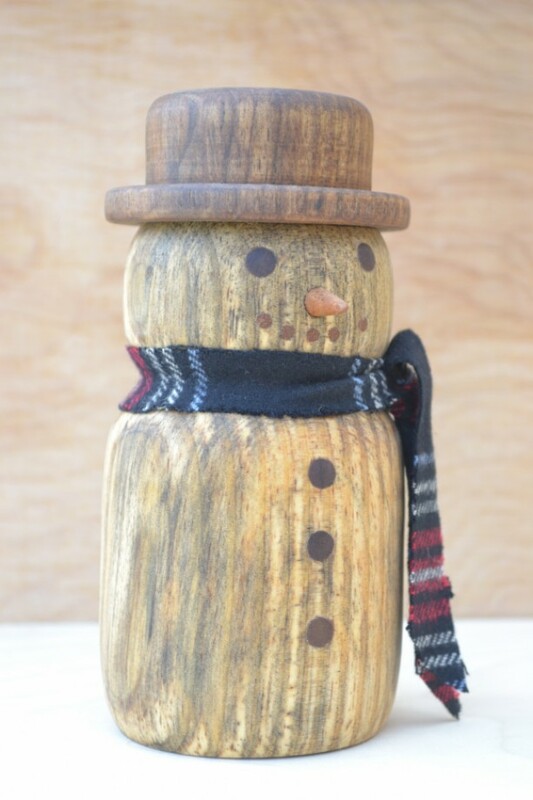 We stained the hat brown and the entire character is sealed with danish oil. 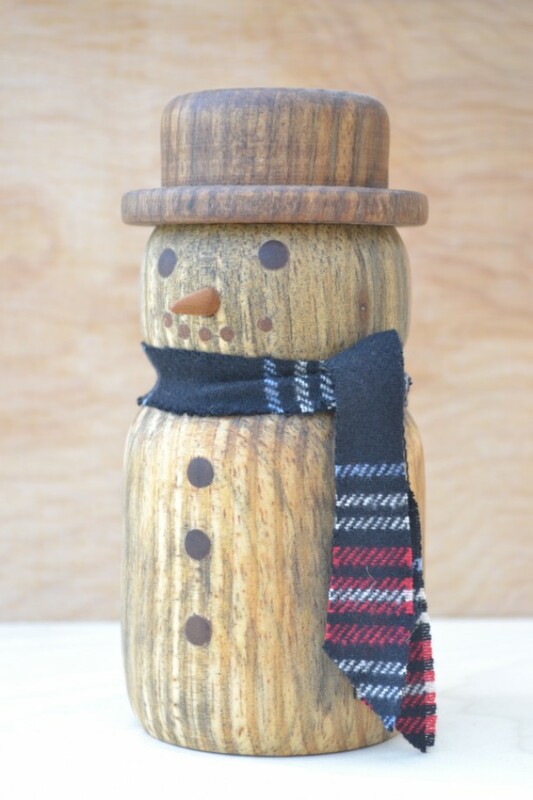 It is sure to bring cheer wherever it goes! 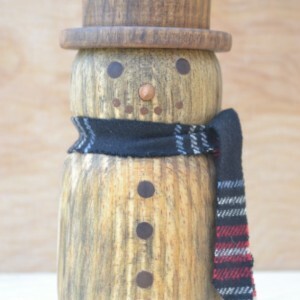 6" high 2 3/4" diameter Signed by the maker.